We’ve seen big breakups in the software industry: from Bill Gates and Paul Allen (whose recent book, Idea Man, provides insights) to Mark Zuckerberg et (or is it versus) al. However, it isn’t just great success that can strain a partnership. Those of us who have started a venture with a co-founder have likely seen (or, hopefully, foreseen) some of the challenges affecting co-founders. Have you really reached an agreement on your business plan? That is, on what technology you will develop and sell, to which customers and under what terms. Will you be equally invested in the business in terms of time, attention and effort, as well as in terms of finances? If not, how will you share the rewards if/when you’re successful? What will happen if/when one partner develops priorities other than the partnership or otherwise becomes disengaged (or relatively less engaged)? When and if you do decide to part company, do you have an agreed-upon plan in place that will allow a partner to leave? There have been a couple of interesting articles (one from The Wall Street Journal in September 2012 and a more recent one on Both Sides of the Table) that describe some common breakup scenarios that co-founders face, with suggestions on how to better manage the situations. How much better, though, to invest time early on in your partnership to ensure co-founders are on the same page about plans for the growth and objectives of the venture and, when it happens, for how the venture’s ownership structure will change to reflect changing situations with its partners. 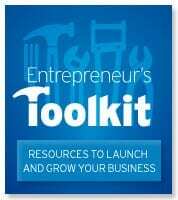 MaRS’ Entrepreneur’s Toolkit offers two excellent tools to help with this process. The first tool helps guide the co-founders and others involved in a venture through a discussion on the key elements of a business plan. The tool can lead to some lively conversations that will help clarify what the goals are for the venture and how they can be reached. The second is a template for a co-founder agreement, which includes provisions for the exit of a partner (or dissolution of the venture). As we have found in so many partner relationships, using such tools helps bring underlying issues to the surface, where you can deal with them more effectively. As a result, a breakup may not always be inevitable.